The wife and I finally streamed it. Very good, not a lot of action more of a buddy cop, wise cop beats the new guys movie. Really liked that they didn't show Bonnie and Clyde much, just glimpses and pieces. Kind of made the whole movie from the hunter LEO perspective that was fresh. The one thing the wife picked up on was as they stopped at the truck with Hamer standing in front, she saw Bonnie reach for the center of the car where there was a "sandwich". Making it look as if she was going to satisfy the munchies. I laughed figuring it was just a little sub-conscious piece by the director., maybe trying to portray them as somewhat human? I did respond to her statement with those two's history I guarantee she wasn't going for a sandwich but a gun next to or under it and wisely the LEO's didn't hesitate. OD*, craze, Tstone and 1 others like this. The director may have done that for the real history buffs, Bonnie had a Detective Special taped to the inside of her thigh with white medical tape. PhaedrusIV, Rock and Glock, airslot and 2 others like this. Rock and Glock, airslot, Tstone and 1 others like this. Nancy and I thoroughly enjoyed the movie tonight. We enjoyed the focus on the hunt and the tracking, and the characters, rather than the criminals. The weapons were fun, the automobiles and the sets and costumes great. The wide open vistas of west Texas and Oklahoma were perfect, particularly the storm clouds and skies. Now I want to read more about the Rangers. OD*, PhaedrusIV, airslot and 3 others like this. Interesting how people pick up on different things. I watched it last weekend and never saw a sandwich, but did see her reach for a gun. I watched the final shootout just now on Youtube and there is a sandwich on her lap and one hand by the sandwich, but the other hand was most certainly reaching for something else. Her mind might have been on lunch a few seconds before, but she was about to postpone. OD*, Tstone, OldChap and 1 others like this. @OldChap : Much as you related. That would be interesting to spend Christmas Eve there! Wow! Mrs. OldChap and I were invited to Christmas dinner with the Brite family at their Marfa home on December 25th, 1987 - 70 years to the day after the terrible raid on the ranch headquarters. It wasn't until years later that I understood the prayers offered at the huge table when I read about the Brite raid. The Brite Ranch raid was an incident that occurred on Christmas day 1917, in which Mexican raiders crossed the Rio Grande border and attacked a ranch in Presidio County, Texas. At the time the raiders were thought to be Villistas, as they were responsible for several other previous incursions into American territory, though other accounts say that some Carrancistas were involved as well. During the raid the Mexicans murdered three people, robbed a general store and rode back to Chihuahua under pursuit by a motorized posse and troops of the United States Army 8th Cavalry. 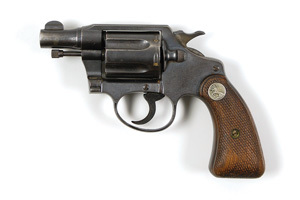 The Americans fought a running battle with the Mexicans on December 26 that resulted in the deaths of several raiders and the recovery of some stolen property, but another more violent episode was directly caused by the raid when on January 27, 1918, a force of Texas Rangers executed 15 Mexicans in what became known as the Porvenir Massacre. The Porvenir massacre was an incident on January 28, 1918 outside the village of Porvenir in Presidio County, Texas, in which Texas Rangers, U.S. Cavalry soldiers, and local ranchers killed 15 unarmed Mexican villagers, both men and boys. The Texas Rangers Company B was sent to the area to stop banditry after the Brite Ranch raid. Despite having no evidence that the Porvenir villagers were involved in recent thefts or the killings of ranchers, the Rangers separated fifteen men and boys from the rest of the village and shot them on a nearby hill. OldChap, Rock and Glock and Tstone like this. There are two volumes: from the beginning to 1900, and 1900 to the present. Both books are excellent, but keep in mind they are actually history, so they weren't written to entertain so much - though they entertain by being fascinating. He has another popular book entitled "The Texas Rangers", but I haven't read it in quite a while. I remember it being excellent - as all his work are. 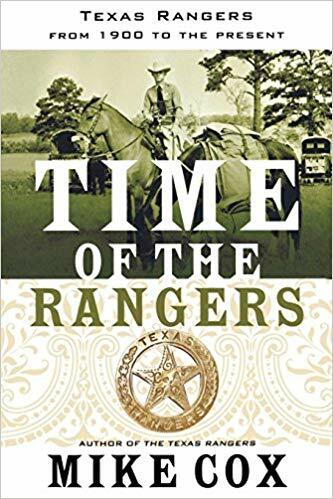 I just acquired another book by Mike entitled "Gunfights and Sites in Texas Ranger History" that is fascinating (I'm told) as it is one of those "battlefields yesterday and today" kind of books. I love exploring old battlefields. OD*, Rock and Glock and Tstone like this. "The Men Who Wear The Star" by Charles M. Robinson III, isn't bad. Thanks...I'll have to check that one out. You know I find it strange that no one ever talks about the Arizona Rangers. They don't have as long and colorful a history as their Texas brethren, but they made a significant contribution to the settlement and eventual statehood of Arizona. I don't know much about their history at all. Sounds like it might be a good winter's (well no, a rainy late summer - December) read. That's a good question. I don't believe they are still a "stand alone" agency anymore, I think they're similar to reservist now. If they make it, I'll watch it. OldChap, OD* and Tstone like this.